I grabbed a quick backyard test shot this morning to test the Nikon D850 dynamic range. This is not a scientific test; instead it is simply a photo I captured using settings and conditions that I typically encounter in the field while leading my landscape photo safaris. With the D850 adding nearly 10 more megapixels than the Nikon D810, there was some question as to how well the new sensor would deliver in the dynamic range department. For most Nikon shooters I know, we are less interested in having more megapixels than we are in having the ability to capture wide tone ranges in the field. Enough about that. I captured an image with the Nikon D850, Nikon 16-35mm f/4 AFS G VR Nikkor lens at ISO 64, just before sunrise. Image format was 14-bit lossless compressed NEF (full size). 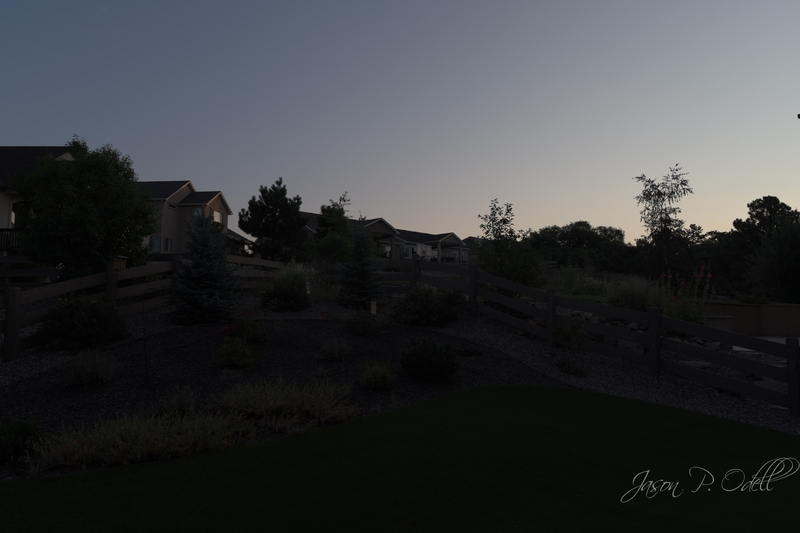 I was able to easily push the exposure +2EV in ACR (update to ACR 9.12.1 to make sure you can adjust Nikon D850 NEFs), and pull the shadows up significantly without seeing major evidence of noise in the shot. 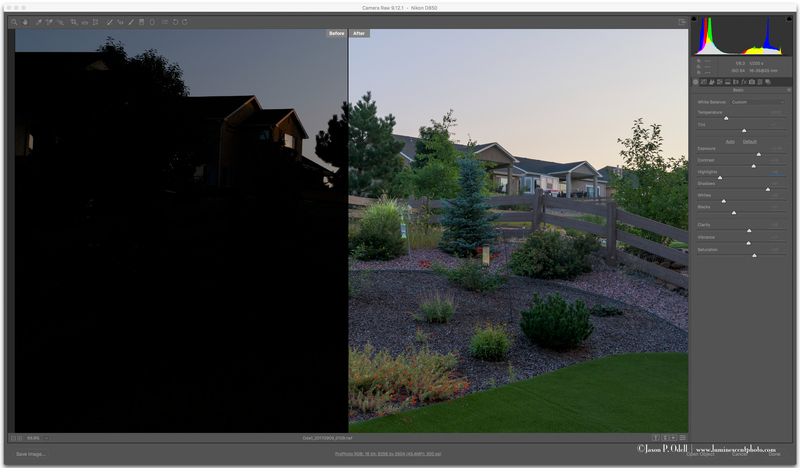 You can easily bring up shadow detail in Nikon D850 raw files. This image had a +2EV exposure adjustment plus shadow/highlights adjustments. I’m not into formal dynamic range testing; I’ll let the camera geeks work those details out. I’m sure that the lab bench tests will be arriving soon enough and creating a tempest in a teapot… 😉 All I can say is from this very simple (albeit subjective) test the D850 appears to perform at least as well as the Nikon D810 in terms of shadow recovery. Once I get the D850 in the field (I’ll be taking it to South Dakota), I’ll have more to report. Until then, you can order the Nikon D850 here. Got a question about the Nikon D850? Ask Jason!